Lastdollar's Borchers, Martin, Lee Mixed 2nd page! 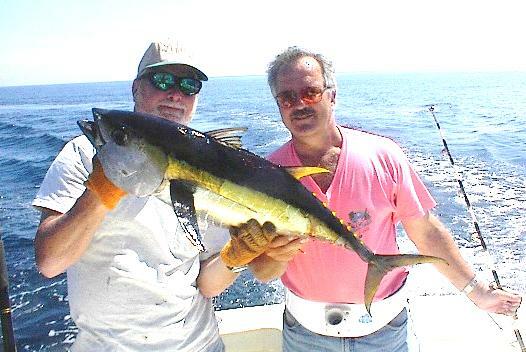 This little Yellowfin went back in the water! 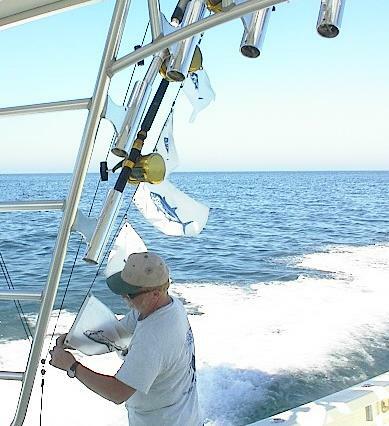 It took John Borchers an hour to get it in the boat. Only took 10 seconds to release it. No, just kidding. Ha-Ha-Ha! John Lee caught this one. 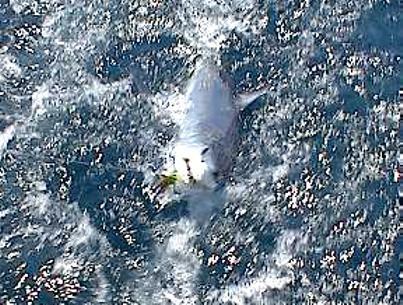 John Borchers Tuna could have inhaled this one! 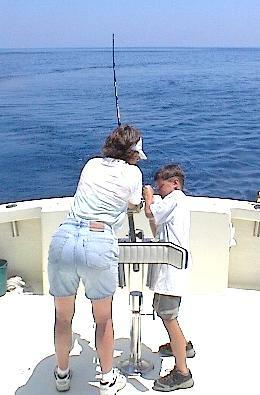 Grace and son, Chris, work on a master plan to haul a Mako in. Is that Iron Man John, hauling back on another one? Jack! Get that Tuna out of John's face before he beats you with it! 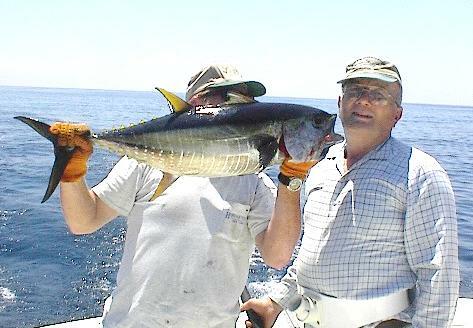 John Lee with a nice Yellowfin. Rick says it was a pleasure to have you all aboard. Look forward to seeing you again. Hope you enjoyed it as much as we did. 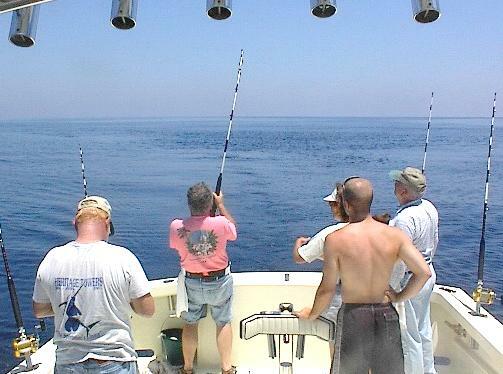 Great day fishing. The flags tell the story. 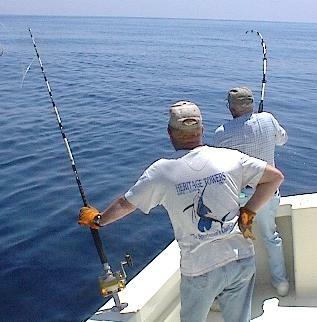 Website courtesy of LAST DOLLAR CHARTERS. 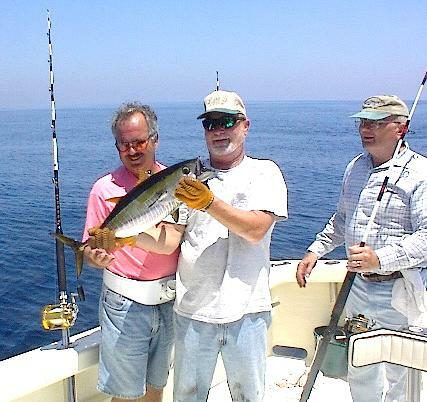 We don't tell fish stories, we show you the fish! 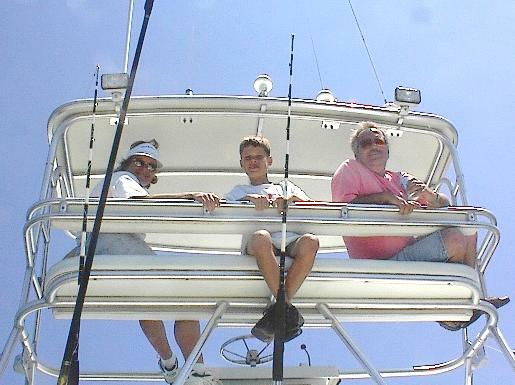 To book a charter, click the Human Click Button below!